On July 1, 2011, I wrote that I’ve been through some deep, personal challenges of doing this work, of encouraging Filipinos abroad to help Filipinos at home. I’ve experienced heartbreaking examples of the Filipino crab mentality and intense competition among Filipinos. These personal experiences led the shift of the foundation’s three priorities: 1) youth leadership development; 2) public education and outreach on important issues affecting Filipinos including the need to clean up toxic wastes from US former bases in the Philippines and the 50,000 Amerasians left behind; 3) and other diaspora partnerships that will support long-term solutions for change. 1. Alliance for Bases Clean Up Philippines. The foundation’s Organizing Director, Myrla Baldonado, has been advocating for the clean up of toxic wastes left behind by the US former military installations in the Philippines for many years. Myrla and her colleagues in the Philippines had been more than generous in opening their doors; sharing information; showing me around the former US bases of Clark and Subic; and helping me learn more about this issue. They also have been open to listen to my suggestions at the same time critical and analytical as well. For 2011, the Bayanihan Foundation has mapped out a series of public education and outreach strategies to bring this important issue to the forefront. 2. 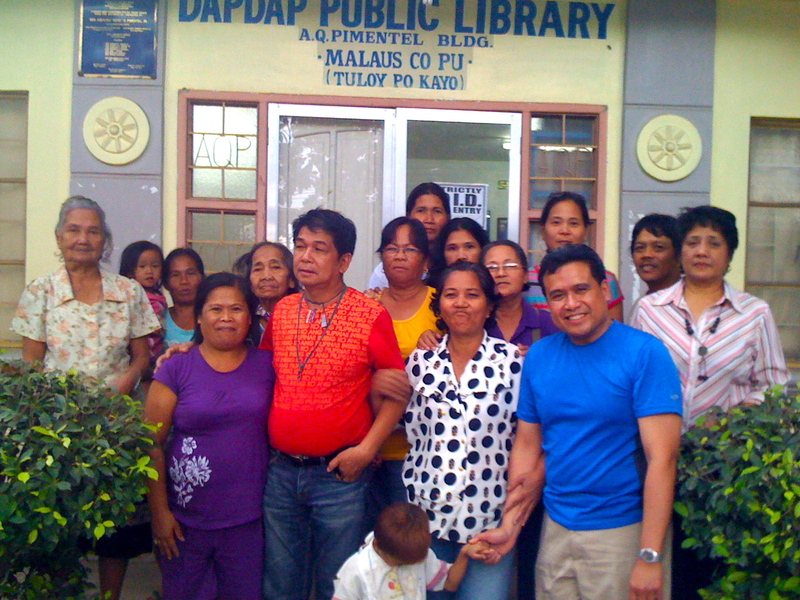 The Visayas Mindanao People’s Resources and Development Center (VMPRDC). James Castillo, a long-time volunteer for the Pilipino Workers Center (PWC) in Los Angeles, CA initiated collecting donations to support a series of environmental youth workshops in Cebu, Philippines. James was generous, trusting and transparent throughout the process. 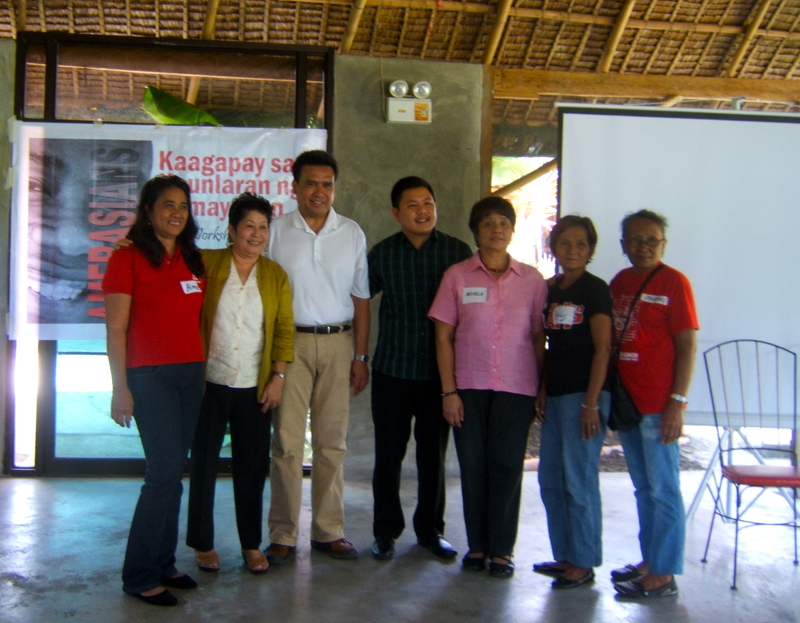 He followed through well and so we were able to send funds to start the environmental workshops in Cebu last April 2011. Our local partner in Cebu, VMPRDC, was also very supportive and they sent their paperwork and evaluations on time. James and the VMPRDC was a delight to work with! 3. WeDpro and Buklod. Aida Santos of WeDpro and Alma Bulawan of Buklod were both willing and welcoming to partner with the Bayanihan Foundation to support the leadership development of Amerasians. Their organizations supported wholeheartedly our first suggestions to conduct a weekend workshop and conference to gather Amerasian community leaders in time for the 4th of July celebrations. They were also transparent and genuinely committed to help move forward the Amerasian issue. In the end, they were supportive in creating a group led by and created by Amerasians, United Philippine Amerasians. I feel really blessed and fortunate to work with all of them. 1. A genuine trust among the group and the leaders. It’s hard to explain but I know that they will be behind the issue through thick and thin. 2. They all have a deeper analysis and perspective. They all understand the complexity of the issue and they all have a deeper understanding of the challenges ahead. They also know that palliative measures alone will not work so the all have their eye on long-term solutions as well. 3. It’s more than just money. Finances are important but they know that it’s not the only ingredient to make social change. 4. They are all aware and have experienced the effects of crab mentality. However, they do not dwell on it. Their actions are informed by their past experiences and so they move forward to create meaningful change for their communities. This entry was posted in Diaspora Giving, philanthropy, Philippines, Remittances and tagged crab mentality, diaspora giving, Filipino diaspora, Philippine giving. Bookmark the permalink.